Streaming video: Which service is best for you? Which streaming system is the best for you? Netflix just raised prices. Hulu lowered one of the theirs. Sling is inexpensive but what DON'T you get? 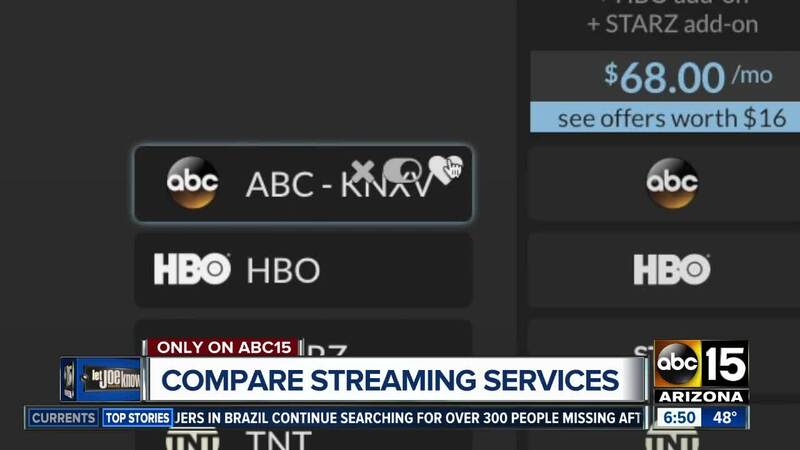 There are a lot of streaming choices with prices all over the place. Ken Colburn with Data Doctors says suppose.tv is a good place to compare them. There are 19 streaming choices. You decide if you want local channels, a DVR, premium channels etc. You can pick individual channels from news, entertainment, sports and other categories. Most offer a free trial period. And some will give you a gift card for signing up.